The cabinet of the Garlando G 100 Beech table football table is made from 20mm (3/4”) thick medium density fibreboard with melamine laminate finish. The table has strong 7 x 7cm (3” x 3”) square section metal legs that can be adjusted to three heights using a simple mechanism on each leg. The table has high stress resistance telescopic safety bars in chromium plated anti-rust steel. The nylon bushes with steel ball bearings ensure high speed action, smoother play and reduced wear and tear. Unbreakable moplen players are moulded onto the bars. The playfield is made from green plastic laminate. 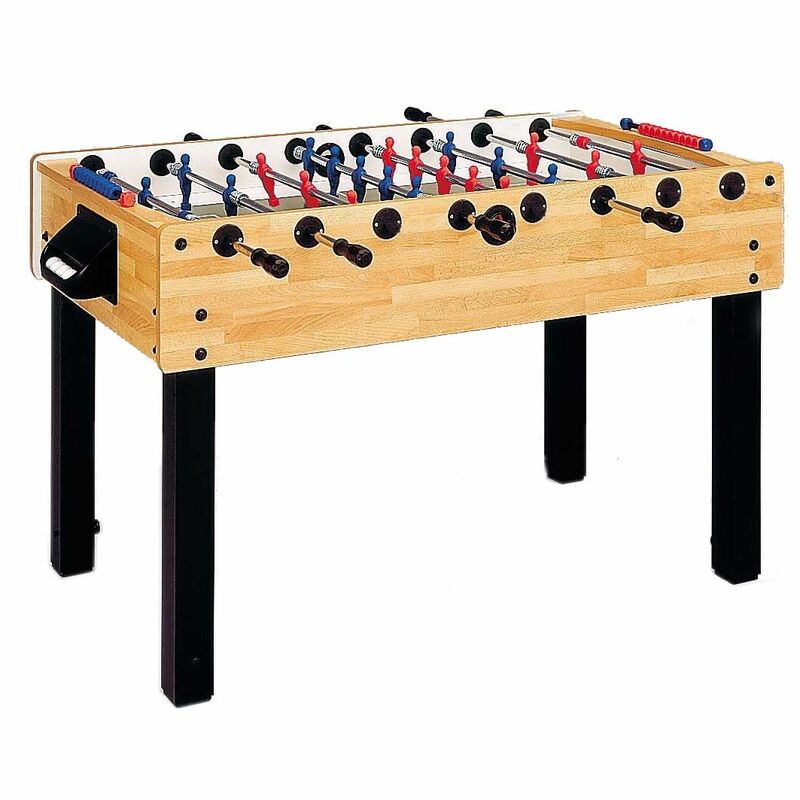 for submitting product information about Garlando G 100 Beech Table Football Table We aim to answer all questions within 2-3 days. 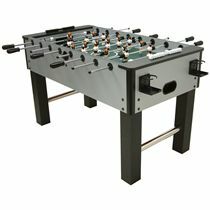 for submitting product information about Garlando G 100 Beech Table Football Table. We aim to answer all questions within 2-3 days. If you provided your name and email address, we will email you as soon as the answer is published. 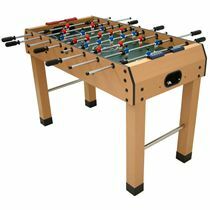 for submitting product review about Garlando G 100 Beech Table Football Table.